A change in the colour or loss of transparency of the conformal coating that adversely affects the performance or the identification of the components below the coating. UV light exposure: Damage from UV radiation, like sunlight, from prolonged exposure can change the colour of a coating. Contamination: Prolonged exposure to particulates and dust that stick to a tacky surface. 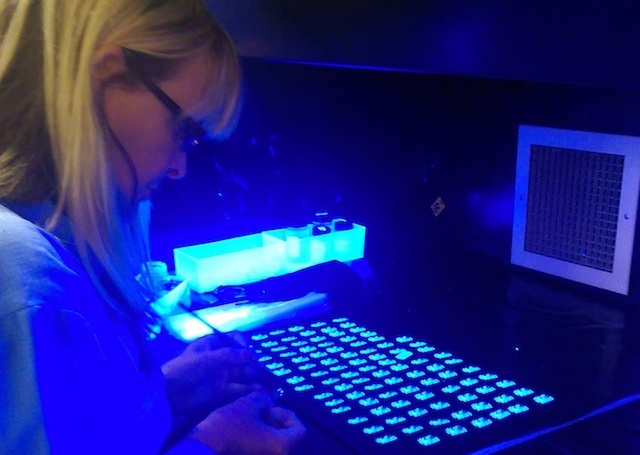 Eliminate the UV light: Don’t expose the conformal coating to prolonged UV light radiation. Correct Coating: Use a UV stable conformal coating. Clean Environment: Prevent the circuit from getting covered in contamination.